In Sapporo, it's now the season when ginkgo nuts start dropping from the maidenhair trees. I racked my brains to think of a tea-time treat that could be made from this seasonal delight. 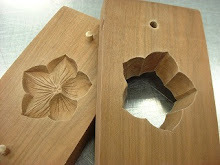 We think of wagashi, of course, as a sweet thing. 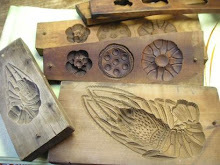 But not all Japanese tea-time treats are sweet. 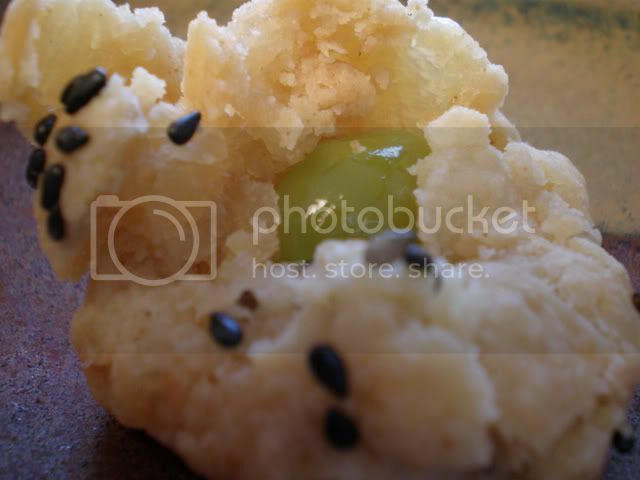 We munch on sembei rice crackers of all kinds as an accompaniment to tea, and one of my favorite snacks is a brick of mochi grilled till it's crackly outside and melty inside, then served with a mixture of soy sauce and grated daikon radish. Mmmm, delicious! 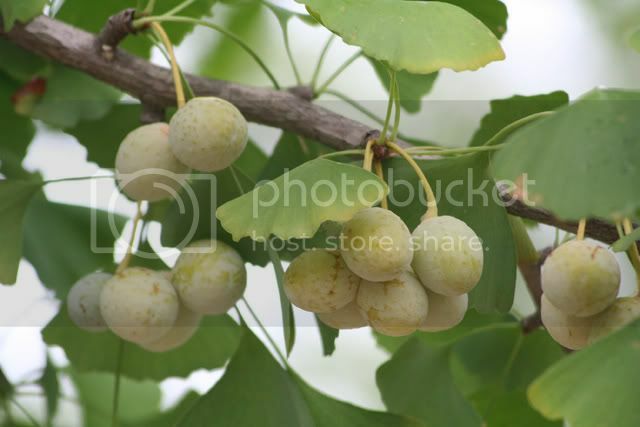 Ginkgo nuts strike me as best suited to a savory snack. Ginkgo nuts.... although used frequently enough in Asian cuisine, they usually seem relegated to a minor role, and I have read that it isn't a good idea to eat too many of them at one time. So...how to make them the star of a dish without using too many at one time? 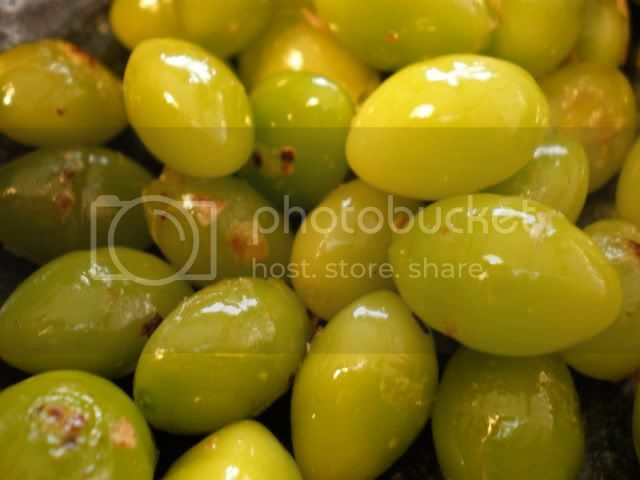 I decided to adjust a recipe I have often used with olives. The best ginkgo nuts are freshly gathered. If you are lucky enough to get these, you'll need to know how to prep them for this recipe. 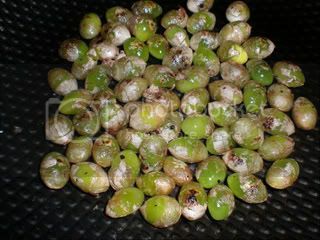 I hate the water-logged texture of canned ginkgo nuts, but the procedure of extracting the nuts from their smelly yucky inedible fruit exterior has always put me off prepping them from scratch. This time, however, a friend did the yucky work, and presented me with a bagful of cleaned up and sun-dried ginkgo nuts in the shell. 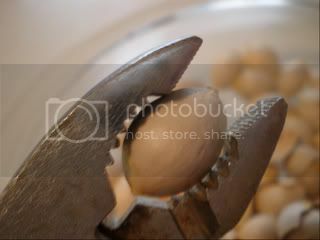 Use pliers to crack open the hard exterior of the nuts. 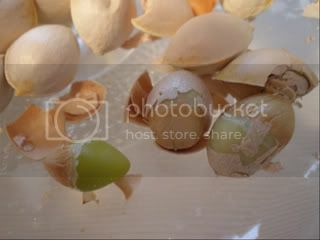 It may take a few tries before you figure out how to use just enough force to crack open the shell without smashing the nut inside. Don't worry about any papery skins remaining on them. 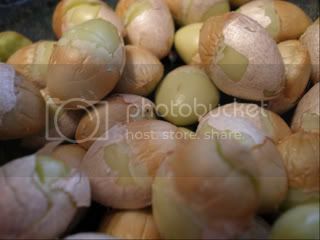 Next, roll the shelled nuts around in a hot wok with a tiny bit of oil. The nuts will take on a beautiful jade green color. After you take them off the stove, you'll see how easy it now is to slip the papery skins off. Sprinkle them with salt and let them cool. Next, work the chopped cheese, softened butter, flour, paprika, oyster sauce, and hot pepper sauce into a pastry-type dough with your fingers, trying to get everything to bind together without overworking the dough. The dough will look dry and crumbly when you're finished, but if you take some in your hand and squeeze gently, it should stick together firmly. Take a bit of the dough, press it into a one-inch-sized ball, then flattened it on your palm. 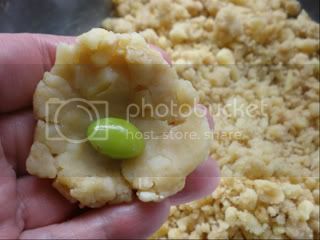 Place one nut in the center of this flattened dough, and then wrap the dough around it to reform a ball. 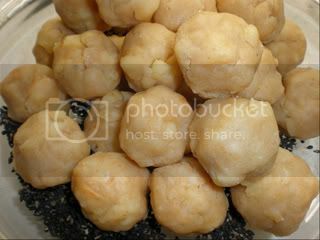 Do this with all the dough and ginkgo nuts until they are used up (about 30 balls). 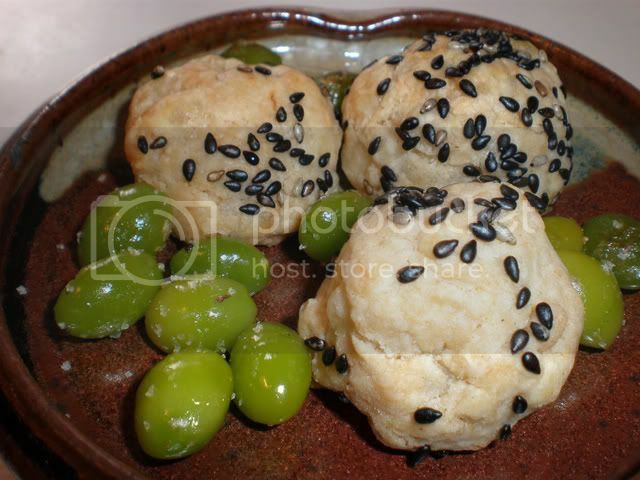 Then gently press the balls into some sesame seeds. 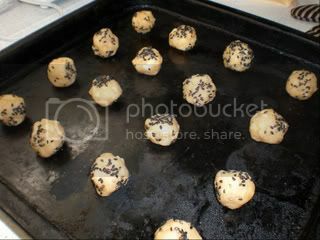 Lay the balls an inch apart on an UNgreased cookie sheet, and bake them in a 200 C (400F) degree oven for 15 minutes. Baked pastry nuggets freeze very well.